Born and raised in northeastern Pennsylvania, Attorney Comitz grew up in the Heights section of Wilkes-Barre and graduated from G.A.R. Memorial High School. He then attended Juniata College and Widener University Commonwealth Law School (formerly Widener University School of Law) in Harrisburg, PA. In 2003, Attorney Comitz returned to northeastern Pennsylvania to begin his law career. It was very important for Attorney Comitz to return home. His family has long had its roots in the Wilkes-Barre/Scranton area, and their stories are likely familiar to many of you. One of his grandfathers was a coal miner, and his other grandfather drove a bakery delivery truck. Hard work and integrity have been instilled in him from an early age, and are cornerstones of his legal practice today. Attorney Comitz has been involved in local and state-wide organizations such as the Federal Bar Association, the Middle District of Pennsylvania Chapter of the Federal Bar Association, the Pennsylvania Bar Association, the Wilkes-Barre Law and Library Association, the Lackawanna Bar Association, the Federalist Society for Law & Public Policy Studies, the American Association for Justice, the Northeastern Pennsylvania Trial Lawyers Association, and the Dauphin County Bar Association. 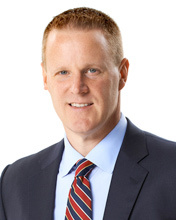 He has litigated cases and or represented clients in the United States Court of Appeals for the Third Circuit, the United States District Court for the Middle District of Pennsylvania, the United States District Court for the Eastern District of Pennsylvania, the Supreme Court of Pennsylvania, the Superior Court of Pennsylvania, the Commonwealth Court of Pennsylvania, and the Pennsylvania Courts of Common Pleas. He has also litigated cases in the state and federal courts of Ohio, Maryland, Texas, California, Louisiana and Florida and has represented clients in matters in Illinois, New York, Virginia, New Jersey, Vermont, Nebraska, West Virginia and North Carolina. 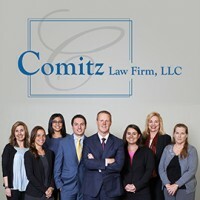 Locally, Attorney Comitz is very active in charitable and community related matters. Presently, he serves on the board of directors for the F.M. Kirby Center for the Performing Arts and the Hollenback Cemetery Association. He previously served via a judicial appointment on the board of the Luzerne County Board of Elections and served on the board of directors for the Luzerne County Convention Center Authority. Attorney Comitz focuses his litigation practice on personal injury cases such as car accidents, medical malpractice and product liability cases. He also litigates commercial / business disputes. Attorney Comitz is always available for free consultation seven days a week.